Interactive video is one of the most effective—and exciting—new forms of video out there. Today, Kaltura partner Rapt Media explains how interactive video is making enterprise video efforts for training and other use cases far more engaging. The mass consumption of online video hit an all-time high in 2016. Facebook, Snapchat, and YouTube alone saw more than 20 billion video views per day—a trend that’s most definitely changing consumer expectations as it relates to all of our online experiences, whether as an employee or consumer. The question for big enterprise companies isn’t whether or not to include video in their communications, training, and customer experience strategies. Rather, the question is how to leverage video in a scalable and strategic manner that includes driving needle-moving, measurable behavior change. If video is the No. 1 way to capture the attention of your audience, then interactive video is the No. 1 way to keep your audience tuned in beyond the “capture attention” stage. If your end goal transcends eyeballs to needle-moving, measurable behavior change, there’s no better medium than video that is personalized and navigable like a website. For example, Deloitte created “Will You Fit Into Deloitte,” a point-of-view, interactive recruiting video that takes users inside the company’s culture while also educating them on Deloitte’s various service lines. The video leveraged link-out buttons which drove traffic to specific areas of Deloitte’s website, allowing users to learn more and continue to the application process. 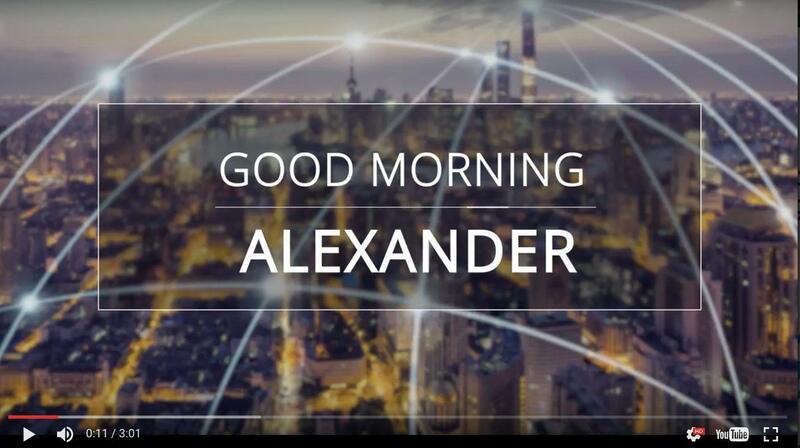 There are two forms of interactive video that work extremely well for driving and measuring both employee and customer behavior depending on your audience and goals: personalized (Hi Alexander!) video and interactive, branching video. 1. Personalized video: Personalized video pulls data about the user so that they see their own unique video. With content that’s specifically addressed to each customer, customers feel engaged and like they’re having a live, one-to-one interaction. From healthcare to insurance to telecoms to financial services, companies in all industries are harnessing the power of personalized video. 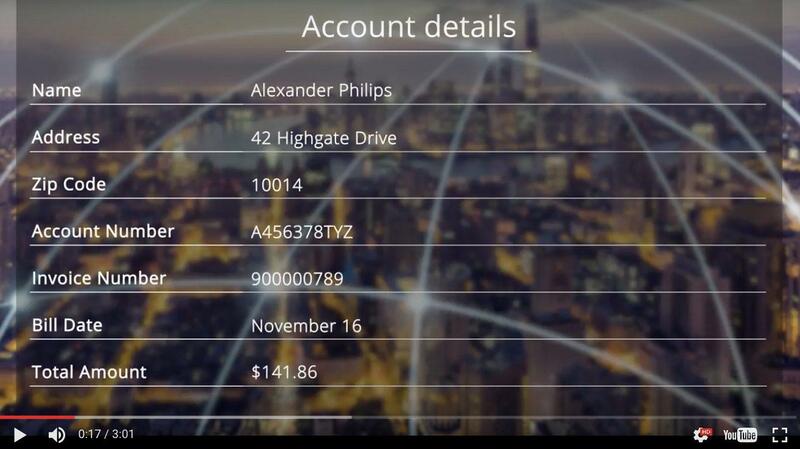 Let’s look at an example from a leading telecommunications company that used Pitney Bowes’ EngageOne Video to create a personalized video experience to explain its bills to customers. The video, which allowed users to explore their actual bill within the video, resulted in a 24 percent increase in on-time bill pay and a 32 percent reduction in bill-related calls. 2. Interactive branching video: Interactive branching video is a great solution for both consumer and employee education. By adding choices and interactivity to your video, you invite your employees and consumers to lean forward and participate. The act of participation deepens engagement, enhances learning, and accelerates behavior change. It also generates data. With every click of a button, you gain useful insights about your audience. People management and learning and development within enterprise companies are utilizing interactive video to drive behavior as it relates to everything from recruitment to onboarding of new hires to benefits enrollment to 401(k) contribution. For example, one major financial institution targeted their 15,000-strong employee base with an interactive video experience. 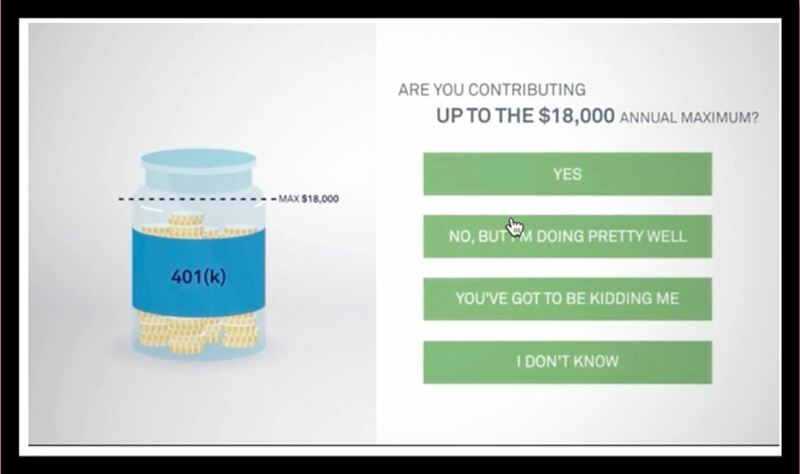 Seventy percent engaged with the video, and 50 percent of those that engaged increased their 401(k) contribution, which lead to tens of millions of dollars of new investment. Compared with their past communication efforts, this was a huge success, as past initiatives drove less than 10 percent engagement and zero percent attributable lift in contributions. Another example is one that Rapt Media created. We developed an interactive onboarding experience, and our new hires have told us they appreciate learning about the company through a navigable, self-paced experience. We’re also saving $1,500 and four hours per employee which is significant for both small and large companies. No matter the industry or use case, the reason why companies are using interactive video is the same across the board: it drives deeper engagement, enhanced learning, and provides businesses with meaningful data and behavioral insights. When consumers guide the conversation, they stay engaged, and we see interactive content—be it personalized video, interactive branching video, or both(! )—as the answer. When offered a personalized video experience tailored to their needs, audiences sit up and pay attention. In 2017, companies who make the shift from creating videos for reach and eyeballs to creating experiences that drive behavior change will be the ones who succeed. To learn more, join the upcoming educational webinar, “Make Your Video Training Interactive” on Feb. 23, 2017. Experts from Kaltura and Rapt Media will be accompanied by an expert from PwC to inform attendees about the best way to develop an interactive video training program. The eLearning Guild—which conducted in-depth research on best practices for enterprise learning, and how interactive video is changing the corporate training landscape—will also contribute to the webinar. Register here. Erika Trautman is the co-founder and CEO of Rapt Media, a 2011 TechStars company based in the “mini Silicon Valley” that is Boulder, Colorado. Our cloud-based interactive video platform enables brands and strategic solution providers to transform video content into response-provoking experiences. Our technology offers the ultimate in consumer control which drives deeper engagement, learning, and desired behaviors. Each interaction generates useful customer or product insights. For more information, please contact Erika at [email protected]. Find out more types of corporate training! Kaltura's mission is to power any video experience. Our wide array of video solutions are deployed globally across thousands of enterprises, media companies, service providers, and educational institutions, leveraging video to teach, learn, communicate, collaborate, and entertain. Copyright © 2019 Inc. All rights reserved.